Google has been slowly but surely updating its apps to reflect the new Material Theming conventions, scorching many a retina in the process. 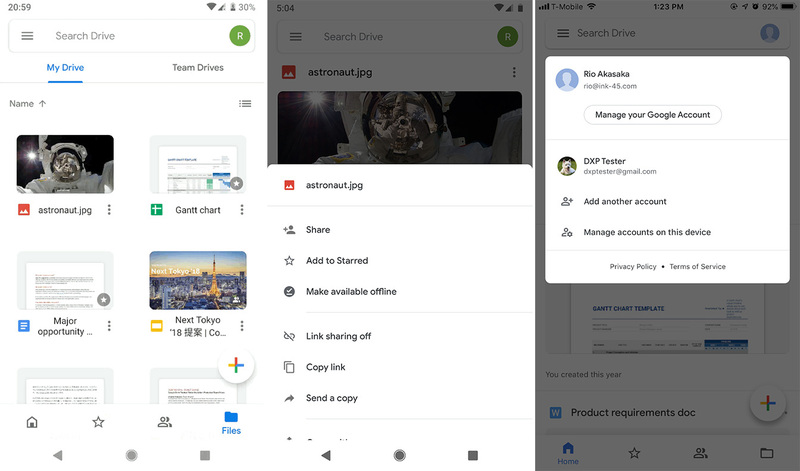 The Google Drive app was already predominantly white, so the upcoming Drive revamp won't murder your eyes any worse. It will, however, add features like bottom navigation, an expanded search bar, and a new account switcher. If you've been using the new Gmail, a lot of this will be familiar, and Google has included an uncharacteristically detailed changelog for the new version. Here's what you can expect. Google has started rolling the updated app out to iOS today, and it comes to Android on March 18th. Both rollouts are gradual, taking up to 15 days to reach all devices. As usual, we'll get an APK posted as soon as the update pops up. The new interface has started slowly rolling out with Drive v2.19.112.03. If you want to check the new Material look and don't have the update yet, you can grab it from APK Mirror.